(El subjuntivo usado para expresar sentimientos y emociones) Temo que su hija tenga una infección de oído. 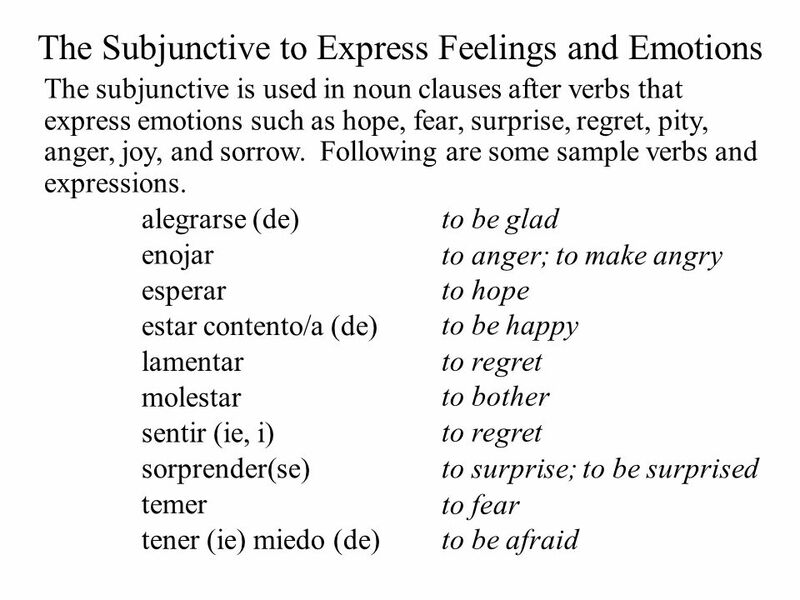 The subjunctive is used in noun clauses after verbs that express emotions such as hope, fear, surprise, regret, pity, anger, joy, and sorrow. Talisa lamenta que Carlos esté enfermo. Talisa regrets (is sorry) that Carlos is sick. Espero que hagas más ejercicio esta semana. I hope that you exercise more this week. Juana teme que su madre padezca de diabetes. Juana fears that her mother will suffer from diabetes. Just as with verbs of volition, when there is no change of subject for the two verbs, we use the infinitive instead of a noun clause. Carlos lamenta estar enfermo. Carlos regrets being sick. Esperamos hacer más ejercicio esta semana. We hope to exercise more this week. Juana teme padecer de diabetes. Juana fears that she suffers from diabetes. 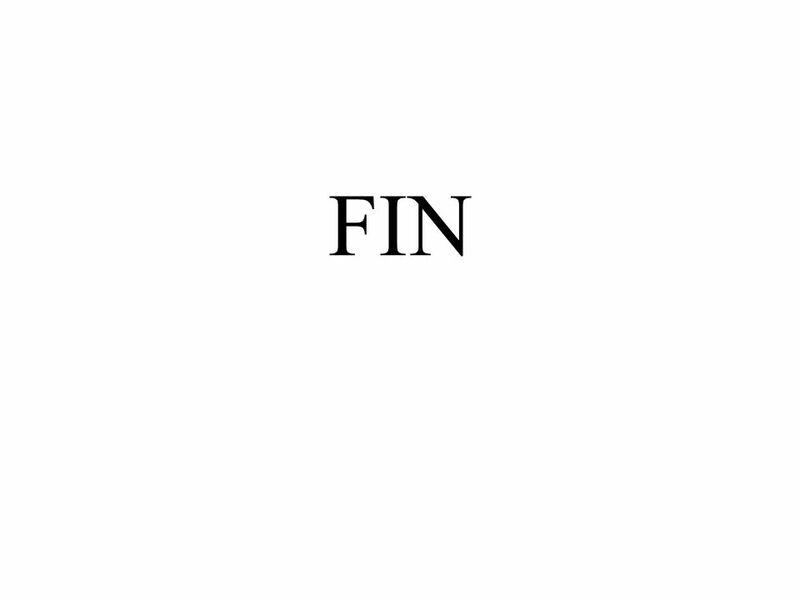 The Subjunctive with Ojalá The expression ¡Ojalá! entered the Spanish language during the Arab (Moorish) occupation of Spain. It comes from an Arabic expression meaning God (Allah) willing or May God grant. ¡Ojalá! may be used with or without que and is always followed by the subjunctive. ¡Ojalá (que) nos mantengamos en forma! I hope that we stay in shape! ¡Ojalá (que) visites el spa en Bolivia! I hope you visit the spa in Bolivia! 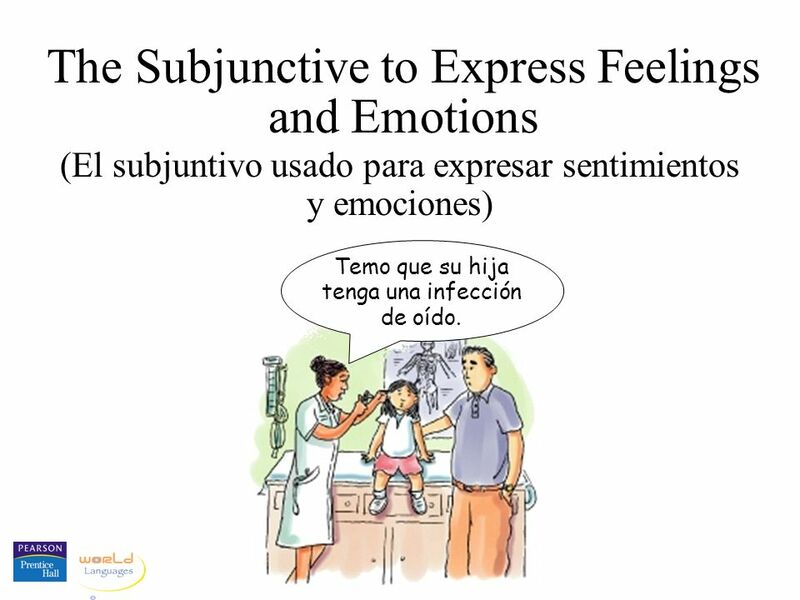 Download ppt "The Subjunctive to Express Feelings and Emotions"
El Subjuntivo The subjunctive tense is used when you are making statements that involve some level of uncertainty. –These means that if you are speaking. Calentamiento Pre-write 333 Read 332 Make a list of unknown words. 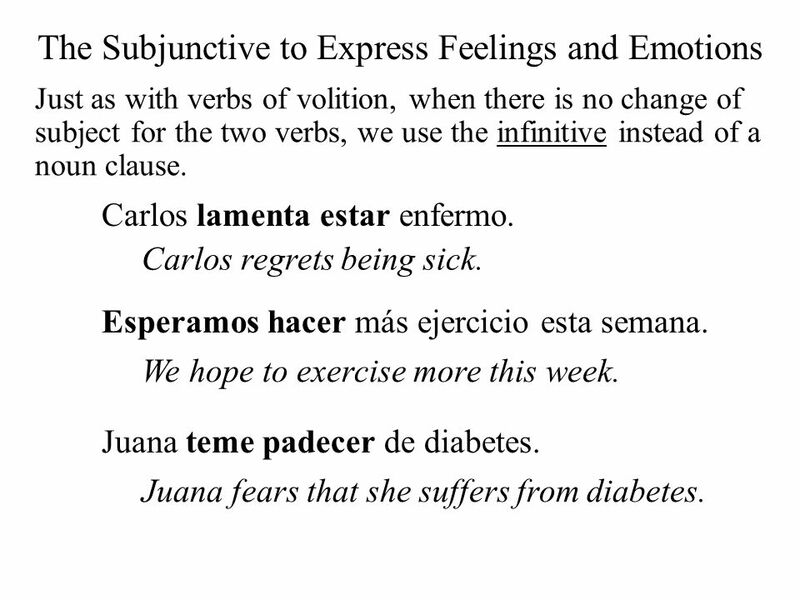 Some basics about sentences w/ the Subjunctive Sentences w/ subjunctive have 2 clauses connected by QUE A clause is part of sentence with a subject & verb.